big leagues with one of their less-recognized characters. is the color of will. Yellow is the color of fear. As Corps General Sinestro (Mark Strong) explains, “it is fear that stops will; stops you from acting.” That’s why yellow can stop green. 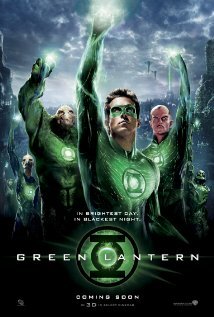 This film does a really good job of bringing Hal Jordan (Ryan Reynolds) and company to the big screen. The origin story is, of course, the necessary evil of every super hero film, and like many films this one has been criticized for being light on action. There’s some truth to that, but, to be honest, I really didn’t notice. Writer Greg Berlanti draws the audience into the story so well, and the cast (especially Reynolds) fills out their roles so well, that mind-blowing action isn’t really necessary. limited his power to creating energy shields, lasers and the like. 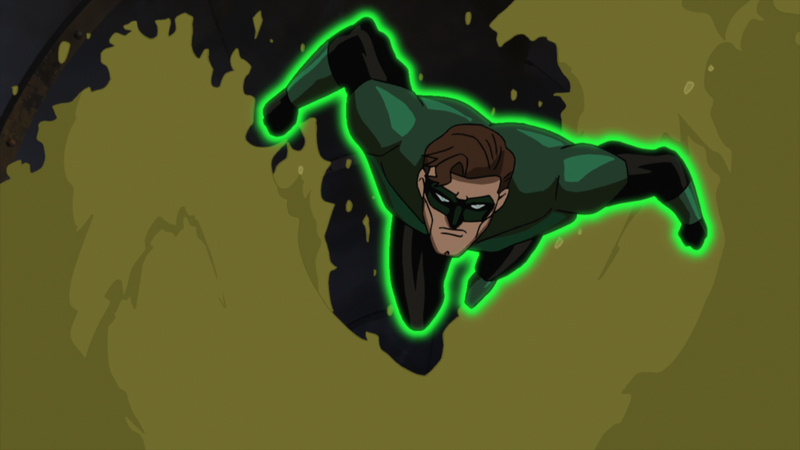 In Green Lantern, the cartoonishness is back, with Hal whipping out gatling guns and roadsters at every turn. But the biggest surprise of all is probably that they make it work pretty well. The story centers around the Corps’ battle with an entity known as Parallax (oddly named after Hal’s eventual super-villain identity from the comics) and Hal’s struggle to be accepted by the Corps. It also has a few goodies, such as a nod to Sinestro’s inevitable slide into super-villiandom, and one absolutely priceless moment that backhands the secret identity complexes of superheroes everywhere. So stop knocking it. If nothing else, the color green has been proven to reduce stress, and this movie has it in spades.